This giant standard swooper flag is 2.5' wide, and over 12' tall. 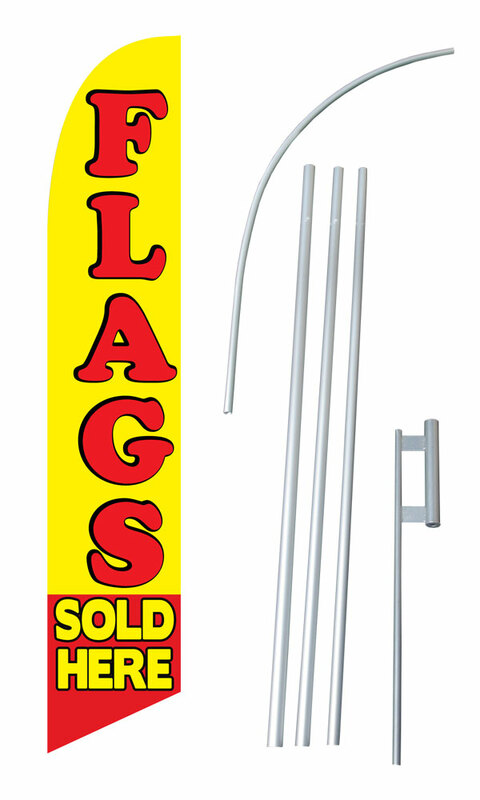 Included in the kit are the 15' heavy-duty aluminum flag pole and ground spike mount. The swooper flag is constructed from a UV treated polyester knit material. Heavy enough to last, yet light enough to fly in the smallest breeze.